Results of a Consumer Reports survey released on Wednesday show Apple's MacBook Air and MacBook Pro to be the most reliable laptops on the market, with average failure rates markedly outperforming comparable Windows machines. The publication surveyed 58,000 subscribers who purchased laptops between 2010 and 2015, polling respondents on year-by-year failure rates to get a sense of overall brand reliability, reports ZDNet. While nearly 20 percent of users reported some sort of malfunction within the first 3 years after purchase, most claiming a serious system issue, Apple saw a 10 percent failure rate for its laptops over the same time period. 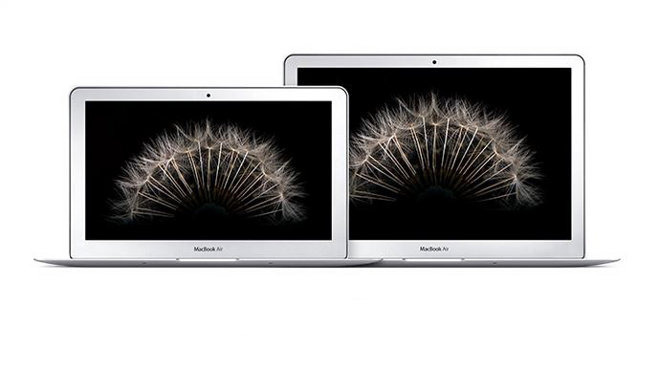 Specifically, MacBook Air had a 7 percent breakdown rate, while MacBook Pro sat at 9 percent. On an annual basis, Apple's MacBook line suffers a collective failure rate of about 3 to 4 percent, which according to ZDNet is much lower than devices running Windows. Gateway's NV laptop topped the list of Windows machines with a 13 percent failure rate. The computer brand's LT product failed an estimated 14 percent of the time, while Samsung's ATIV Book had an identical showing. Lenovo ThinkPads and Dell's XPS laptops tied for third, failing at a rate of 15 percent. As for laptops that suffer repeat malfunctions over their lifetime, referred to by ZDNet as "lemons," 42 percent of Apple devices that failed did so multiple times compared to 55 percent for Windows notebooks. The publication points out that while MacBooks are more reliable, they are more expensive to fix if and when they do breakdown. Consumer Reports suggests buyers stump for the extended AppleCare warranty, which topped the outlet's list of technical support services earlier this year. Finally, 71 percent of survey respondents who purchased a MacBook were completely satisfied with reliability, a number that drops to 38 percent for Windows users.